How’s that for some alliteration? 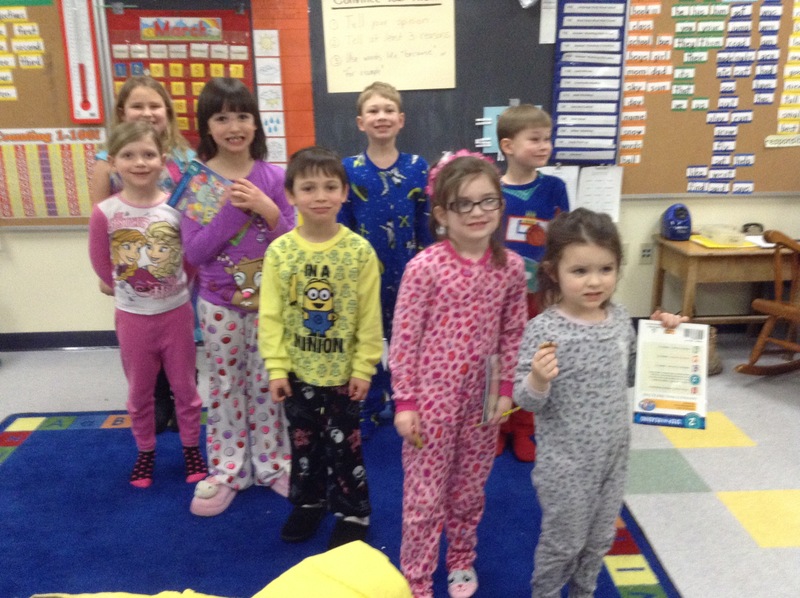 I wanted to thank everyone who came in for our “Read Across America” PJ Party this past Monday night. I have one picture to share. Joey was also there but was not present for the picture. We were able to read one of everyone’s favorite book from home along with some others from the classroom. We ended the night with a special book by Dr. Seuss called What was I Scared of? A Glow-in -the-Dark Encounter. The lights were out and it was a fun treat!